Shaquille Rashaun O'Neal is an American retired basketball player who played professionally in the National Basketball Association (NBA). 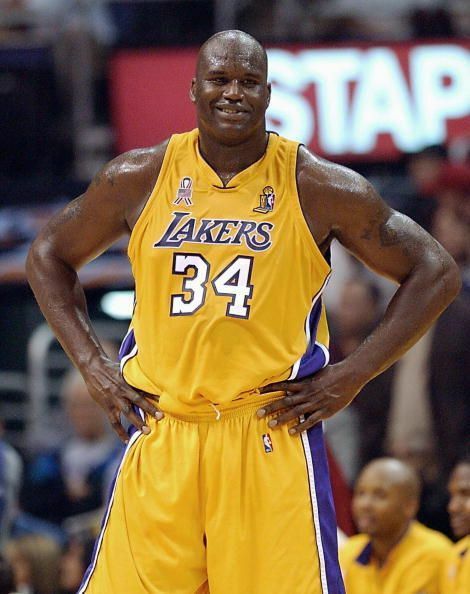 Nicknamed as "Shaq", O'Neal is a 4-Time NBA Champion, 3-Time NBA Finals MVP, 2000 NBA Most Valuable Player, 2-Time NBA Scoring Champion, 15-NBA All-Star, 8-Time All-NBA First Team, 3-Time All Star Game MVP, and 1993 NBA Rookie of the Year. Playing his high school basketball at Robert G. Cole High School in San Antonio, Texas. Over two year, O'Neal led his team to a 68–1 record. In his senior year, he helped them win the state championship. After graduating from high school, O'Neal decided to attend Louisiana State University. In 1991, he received the Adolph Rupp Trophy as NCAA men's basketball player of the year. In his tenure with the Browns, he was named two-time All-American, two-time SEC Player of the Year. O'Neal was drafted by the Orlando Magic as the 1st overall pick in the 1992 NBA Draft. He quickly earned the reputation of being one of the best centers in the league, winning Rookie of the Year award. In the 1994-95 season, he led the league in scoring and was named scoring champion. He led Magic to the 1995 NBA Finals where they lost to the Houston Rockets. After 4 years with the Magic, O’Neal was traded to the Los Angeles Lakers. The best moments of his basketball career came as a member of the purple and gold. Alongside another legend in Kobe Bryant, the duo went onto win three consecutive championships from 2000-2002, and form one of the best teams to have ever been assembled in NBA History. It was during this time, that Shaq O'Neal established himself as an overpowering low post presence and as one of the most unstoppable force this game has ever seen. He was named the Finals MVP in all of the three championships. Shaq also helped the Lakers set an NBA record of finishing the 2001 NBA Playoffs with a 15-1 record. O’Neal was named MVP, All-Star game MVP, and Finals MVP in the same year (1999-2000 season), becoming only the third player in NBA History to achieve this feat, the other two being Willis Reed in 1970 and Michael Jordan in 1996 and 1998. He was also named scoring champion in 2000. Amid tension between O'Neal and Kobe Bryant, he was traded to the Miami Heat in 2004. Paired alongside Dwyane Wade, Shaq helped the Heat win the 2006 NBA Finals, winning his fourth championship title in the process. Later into his career, O’Neal played for the Phoenix Suns, Cleveland Cavaliers and ended his career with the Boston Celtics in 2011. He is widely considered as one of the best centers and one of the best players to have ever played the game. His ability to dunk contributed to his high career field goal accuracy of 58.2 percent. He led the NBA in field goal percentage 10 times, breaking Wilt Chamberlain's previous record of 9. O’Neal was voted onto the NBA 50th Anniversary Team in 1996 and was inducted into the Naismith Memorial Basketball Hall of Fame in 2016.